Russian food watchdog Rospotrebnadzor on November 13 slapped a ban on imports of Ukrainian cheese-based products due to violations of consumer rights protection, public sanitation and disease control laws, a Rospotrebnadzor representative told UNIAN on Thursday. When examining Ukrainian cheese-based products (such as cheese spread and semi-finished cheese spread) imported into Russia, Rospotrebnadzor identified various violations of its laws, the report reads. 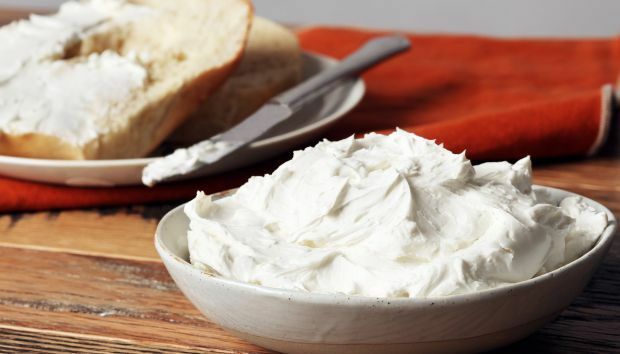 When examining Kupecheskiy cheese spread, Rospotrebnadzor identified animal fats in the product, although the producer claimed to have replaced all milk fats in the product with vegetable fats. The content of unsaturated fatty acid trans-isomers in the supposedly margarine-based Stolovyi cheese product did not meet the required standards. Rospotrebnadzor also said that the product markings on Monastyrskiy Dvor semi-finished cheese spread violated Customs Union food markings regulations. The product also contained a food supplement that is not allowed to be used in this type of product. For these reasons, Rospotrebnadzor, on November 13, imposed a ban on imports of these types of Ukrainian cheese-based products. Information to that effect has been sent to the Federal Customs Service and the Rospotrebnadzor Office responsible for the affairs of Russian entities, the report says. As UNIAN reported earlier, the Federal Service for Veterinary and Phytosanitary Surveillance (Rosselkhoznadzor) and Rospotrebnadzor have increased pressure on Ukrainian exporters since the start of the current year, amid Russian aggression in eastern Ukraine. Russia has already imposed a ban on imports of Ukrainian dairy products, pork and pork products, potatoes and other vegetables, and placed strict restrictions on imports of Ukrainian poultry, confectionaries, fruit and vegetable products, fish canned products, juices, strong alcoholic beverages, and beer. On October 13, Rospotrebnadzor imposed a ban on imports of Ukrainian cheese products due to Ukrainian producers not complying with Russia’s consumer rights protection law.